Dr. Craig Stevens got his medical degree from Northwestern University Feinberg School of Medicine and did his internship and residency at Georgetown University Hospital. Dr. Stevens is certified in radiation oncology and has over 20 years of practice. 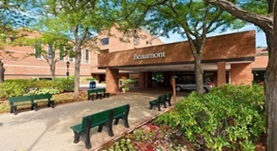 He is currently affiliated with Beaumont Hospital – Grosse Pointe. Dr. Craig W. Stevens has contributed to 2 publications. Dilling, T. J.,Extermann, M.,Kim, J.,Thompson, L. M.,Yue, B.,Stevens, C. W.,Antonia, S.,Gray, J.,Williams, C.,Haura, E.,Pinder-Schenck, M.,Tanvetyanon, T.,Kim, S.,Chiappori, A.
Latifi, K.,Oliver, J.,Baker, R.,Dilling, T. J.,Stevens, C. W.,Kim, J.,Yue, B.,Demarco, M.,Zhang, G. G.,Moros, E. G.,Feygelman, V.